If you’re looking at different ways to help finance your business, you’ve probably come across SBA loans at some stage. Small Business Administration Loans (SBA Loans) are loans backed by the U.S. Small Business Administration. They’ve been used by countless individuals to help fund the start of new businesses. It’s important to fully understand any type of finance you’re considering applying for. 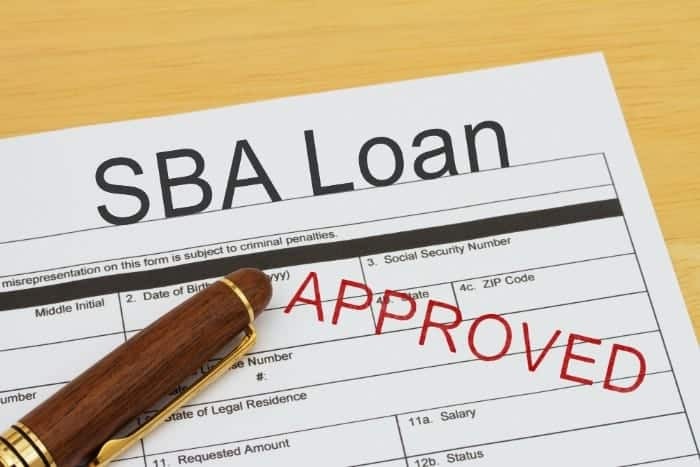 We made this guide to help our readers comprehend SBA loans and how they may be able to improve the chances of being approved for finance. This is a unique loan type that has helped tens of thousands of business owners across the country invest in their companies. Why Does the Government Provide SBA Loans? So, you may be wondering why the government back SBA loans in the first place? It may seem like it’s too good to be true. But the reality is that the government wants to incentivize small business activity. The more small businesses that are able to obtain financing and grow their operations, the more growth and employment increases in the nation. The government considers the SBA loan program a worthwhile investment in the United States economy. Where Can I Get a SBA Loan? SBA Loans are not provided through the government directly. Instead, they’re provided through many traditional lenders. These lenders provide the capital to the business owner, they also take the majority of the money raised through the loan. The government backs 85 percent of the loan through the SBA initiative. This means that if you end up defaulting on the loan, the government will pay the lender 85 percent of the value of the loan. This is what allows SBA loan providers to provide the type of financing they give to business owners. They have much less at stake when their loans are insured by the federal government. So, as you can see, the government does not provide the capital, it provides the insurance. If you want to get a SBA loan, simply head online and find a lender. Many traditional banks or lenders will offer SBA loans as well. If you already bank with a particular lender, you can ask them if they provide SBA loans. If not, we can help you find lenders that provide SBA loans – simply head to our homepage for more information. SBA loans can reach up to $5m, but most loans are under $400,000. The amount that you’re able to borrow will depend on what you’re borrowing the money for. This will also determine the term that you have on the loan. For example, if you purchase real estate with the loan, your term time will be 25 years, while loans for equipment will be 10 years. The shortest term is seven years, which is for businesses who want to borrow for operational costs. It’s important to keep a few things in mind when deciding whether a SBA loan is right for you. Most SBA loans will require you to make personal guarantees for the money that you borrow. This is typically required if you own over 20 percent of the business. This means that all your major shareholders will have to guarantee the loan with personal assets. If you’re unable to make payments on the loan because business is bad, your personal wealth will be at risk. While there are general guidelines put in place by the SBA, the lender you choose will still determine the type of rate that you’re offered. Make sure that you do research about which lender is the best option for your financial situation. You should be looking for reliability and low rates. Access – SBA loans provide individuals with access to funding that they might not be able to find anywhere else. As a new business owner, your options are very limited when it comes to finding funding for your company. Term Times – Because SBA loans are backed by the federal government, lenders are able to provide borrowers with much longer term times. This means that borrowers don’t have to deal with large payments when they first take out financing. Lack of Collateral – Most small business lenders will require you to have collateral to back up any loan that you want to obtain. Fortunately, many SBA loans don’t require collateral. This is good for small business owners that are only just starting their business and don’t have any assets accumulated. Choice – Because SBA Loans can be offered through traditional lenders, you still have a large amount of choice when it comes to choosing which lender you want to work with. This means that you can work with a lender that you trust. Documentation – Because the government is involved in backing these loans, there is still a lot of documentation that needs to be filled out. You may find that the SBA loan process is rather complicated and drawn out, but this is the price you pay for access to capital. 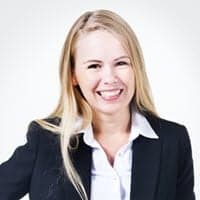 Personal Guarantee – As mentioned previously, many SBA loans require personal guarantees for individuals who own over 20 percent of the company. This means that owners are at risk of losing personal assets if things go badly. Strict Guidelines – There are stricter guidelines with this form of funding. SBA loans are a great option for new businesses that don’t have an established credit profile. They’re slightly less flexible than other forms of financing because of the government regulation involved, but they’re still a great lending product. They also offer long terms that provide you with a bit of breathing room if you’re worried about having large payments when you first start operating!